NEW CITY, N.Y. - Jan. 11, 2019 - PRLog -- Over the past few years, the global green building materials market has been witnessing a healthy growth. This can be accredited to the advantageous properties of green building materials such as durability, sustainability and energy-efficiency. Besides this, progress in technology and numerous initiatives undertaken by different governments are also strengthening the market growth. As per the latest report by IMARC Group, entitled "Green Building Materials Market: Global Industry Trends, Share, Size, Growth, Opportunity and Forecast 2018-2023", the global green building materials market reached a value of around US$ 200 Billion in 2017. 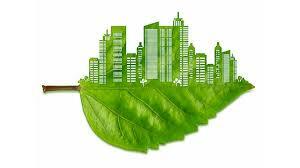 Green building refers to the construction of structures using processes which are eco-friendly and resource-efficient. These structures are constructed using green building materials that help in minimising the emission of greenhouse gases and impact on the human health during the process of fabrication. Some of the widely utilized green building materials include aluminium, thatch, mud, clay, fabric, glass, steel, wood, durisol, ceramic, limestone and rammed earth. As these materials are procured from renewable waste products, they are highly energy-efficient and have the potential to cut down the overall construction cost.